E loves playing memory games. To go with her summer camp theme of “Under the Sea”, I made her this Ocean Creatures Memory Game. This is a one-page printable. Print the page twice to play different types of memory or matching games. This gives you 20 pairs of images to work with. 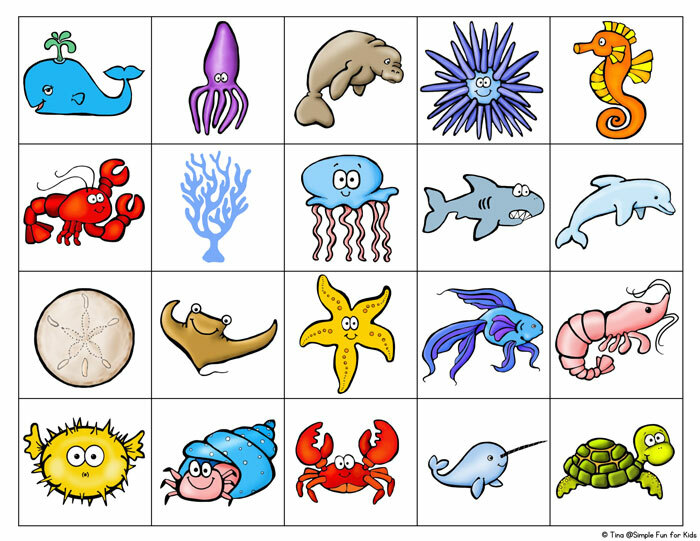 Images used are whale, octopus, manatee, sea urchin, seahorse, lobster, coral, jellyfish, shark, dolphin, sand dollar, ray, sea star, blue fish, shrimp, blowfish, hermit crab, crab, narwhal, and turtle. Of course, you can always start out playing with fewer pairs and add more over time depending on your kids’ skill level(s). 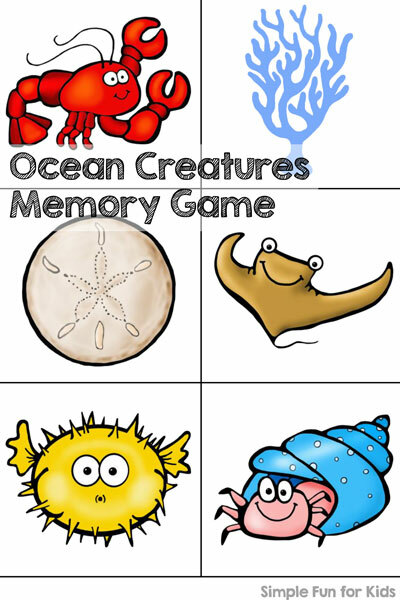 Download your Ocean Creatures Memory Game! Looking for more fun printables? Check out these!